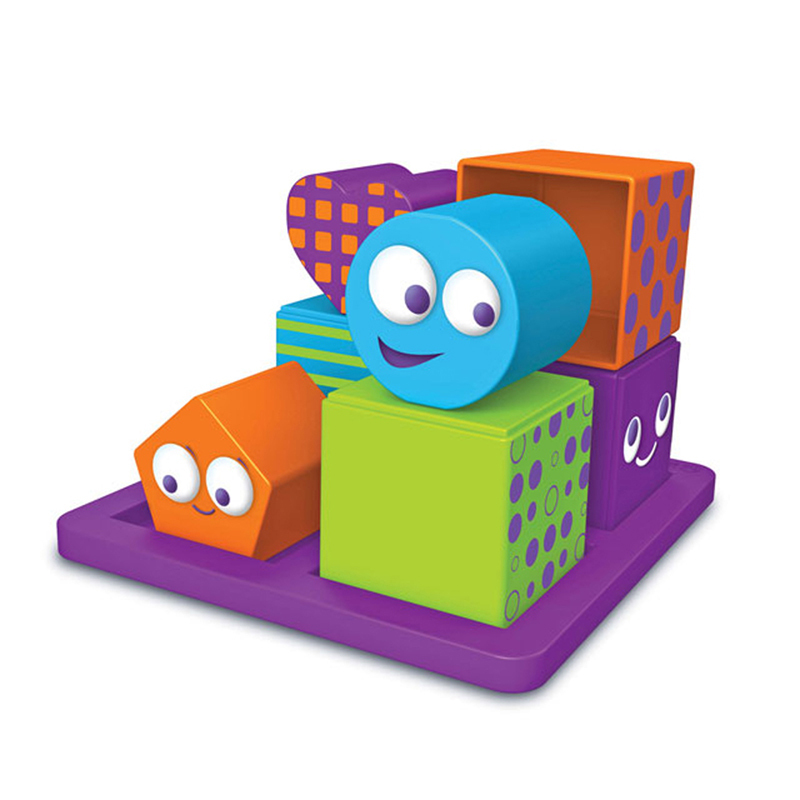 Combine block-stacking play with logic puzzles to develop early critical thinking skills. The bold graphics and challenges make this an ideal 3-D puzzle game. Activity Cards provide examples of what to build and open-bottomed blocks allow for hiding of pieces in more complex puzzles. Includes puzzle tray, 8 puzzle pieces (4 cubes, 4 shapes), 28 double-sided puzzle cards, and Activity Guide. Tray measures 6.25"L x 6.25"H; cubes measure 2"L x 2"H.